“Your traveling days are over.“ I’ll never forget the number of people telling me that when my wife and I announced that we were having child #1. Four years later, what we hear now is much different. “Your child is such a world traveler.” “You go on so many adventures as a family.” “You hiked what with a toddler? !” It’s true, we didn’t really slow down at all after we had our precious little girl. There are a lot of reasons why we chose to keep traveling, keep exploring, and to take her with us on every new adventure. 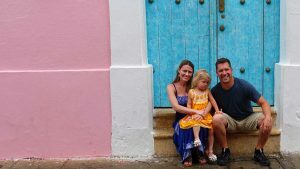 But one of the simplest reasons was that we found a way to make traveling with a child less challenging. 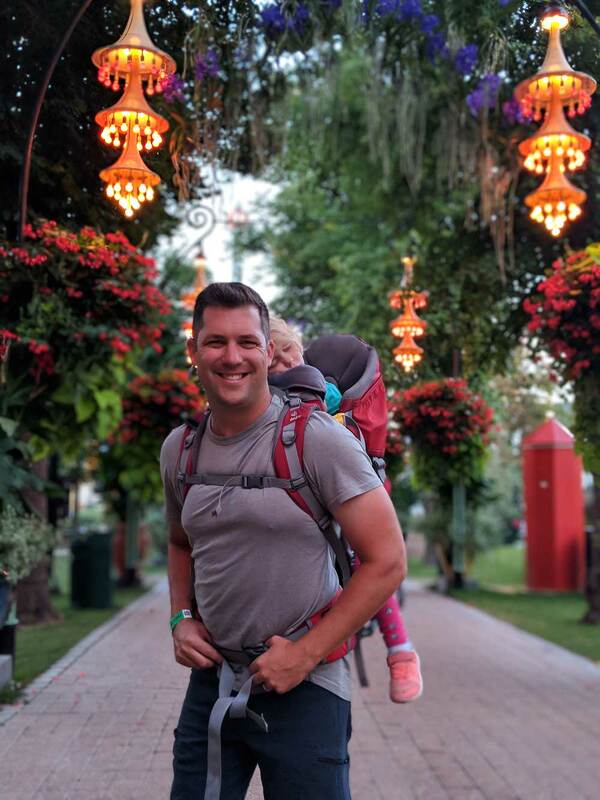 Thanks to the Deuter Kid Comfort 3 Child Carrier it is much easier to take our daughter anywhere and everywhere with us. You see, where we go she goes. And she absolutely loves it. She affectionately calls the child carrier “the pack” and loves “going for rides in the pack”. Whether it’s walking the dogs around the block, going for a nature hike, or exploring a new city, the Deuter Kid Comfort 3 has made life and travel with a curious toddler practically effortless. The Deuter backpack carrier is great for hiking with kids..
for easier storage. Not as light as some. Less expensive 40 pound weight limit. Collapsible kickstand Shade not removable. Thule Elite Viewing mirror to see child. The Deuter Kid Comfort 3 is the perfect kid carrier for active families with toddlers. You can safely use it beginning when your child is old enough to sit up on his or her own, although a 6-month-old might look a little small in it. Because it has a weight limit of 48 pounds, you’ll get plenty of use out of it as your child grows. Our 4-year-old only weighs 32 pounds, so there is a good chance she will still fit in it at 6 years old! Although, by that point, I’m making that kid walk! The Deuter Kid Comfort III has a soft, padded 5-point harness child seat. The harness is adjustable for each child’s size. It also has a soft chin pad which provides a comfortable place for your child to rest or even nap. The interior is removable and machine washable for easy cleaning. Deuter’s AirContact design is intended for maximum ventilation to reduce that oh-so-lovely back sweat that happens when wearing a child carrier for an extended amount of time. The Deuter Kid Comfort 3 comes with several accessories to help protect your little one from the elements and keep them comfortable and content. It has a removable, stowable shade that quickly folds up and fits in one of the storage compartments. The shade is great for keeping your little one out of the sun, whether you are hiking or simply outside on a sunny day. The Deuter Kid Comfort 3 also comes with a rain cover with clear side panels to keep your child dry in wet weather. 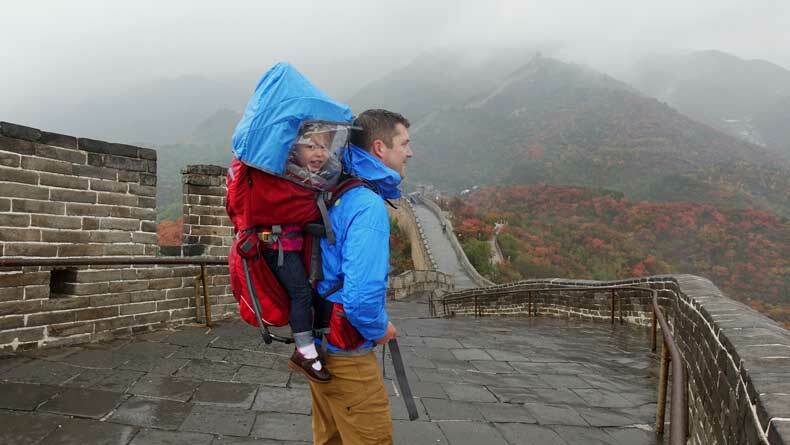 This came in particularly handy when we hiked the Great Wall of China when our daughter was 3 years old. It poured rain during our entire hike, but for the most part, our daughter stayed dry, although her legs did get wet because she didn’t keep them inside the carrier. When hiking or traveling with a baby or toddler, storage compartments are vital aspect of any child carrier. Diapers, snacks, an extra change of clothing, and a water bottle are all things you might need to store in the child carrier. The Kid Comfort 3 has a large storage compartment in the back that is big enough to fold up a rain jacket and keep a large Nalgene water bottle in. There is also a smaller compartment on the top where you can keep a phone, a camera, or a map, and side pockets. Additionally there are large side pockets and a zip-pocket on the waistband where you can store a credit card or driver’s license. Perhaps our toddler’s favorite accessory that comes with the Deuter Kid Comfort 3 is a small teddy bear. I always believe it’s the little things that matter most, and for our daughter, this small stuffed animal was an instant selling point for her. In my opinion, if Deuter put enough thought into this child carrier that they decided to include a stuffed animal, they probably put a lot of thought into the every aspect of its design and functionality. And it shows. Beyond the little things, like the teddy bear, the Deuter Kid Comfort 3 passed the comfort and durability test for us, as well. 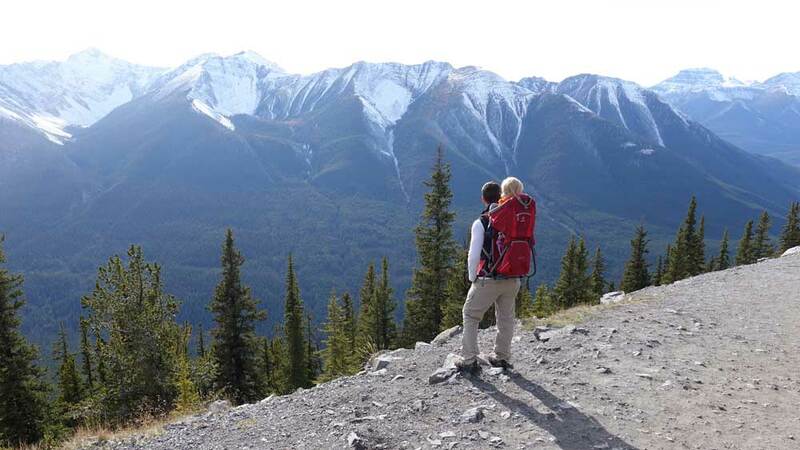 We’ve taken our child carrier to more than a dozen countries, on countless airplanes, and on numerous hikes. It’s been in the heat of the Central American sun and survived two weeks of non-stop rain. It hasn’t ripped, torn, worn down, broken or lost any level of functionality in any way. Strapping a child into the Deuter Kid Comfort 3 is quick and easy. In fact, our daughter climbs into it on her own. The child carrier has adjustable shoulder straps for your child that each clip in between the legs. There is a padded seat, and the portion of the safety harness that goes between the child’s legs is also padded for comfort. Kids can let their legs dangle or tuck them inside the child carrier. We have found our daughter often uses the bottom of the carrier to serve as a footrest. To be honest, I am a bit jealous of our daughter when she is in the Deuter Kid Comfort 3 child carrier. She sits higher, which means she is able to see much more than I can. She has a built in pillow to rest her face on and take endless naps whenever she feels like it. And she is able to stay covered in her own little shaded area. It’s practically impossible to find a picture from our travels where she isn’t in this thing. Our daughter is a very curious child, so when she was about 8 months, she no longer liked being worn in a chest-facing baby carrier. 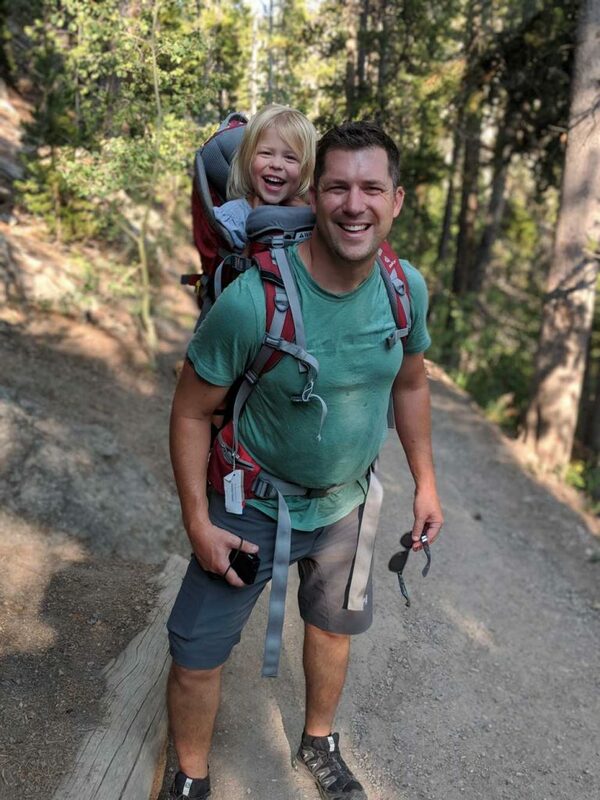 We switched from the Ergo to the Deuter Kid Comfort because it allowed her to sit up high and see the world while still being safely strapped in a five point harness. Not only does she seem comfortable in the Deuter Kid Comfort 3, she truly seems like she enjoys being in it. This has kept her perfectly content on multiple trips and nature hikes throughout her toddler years. 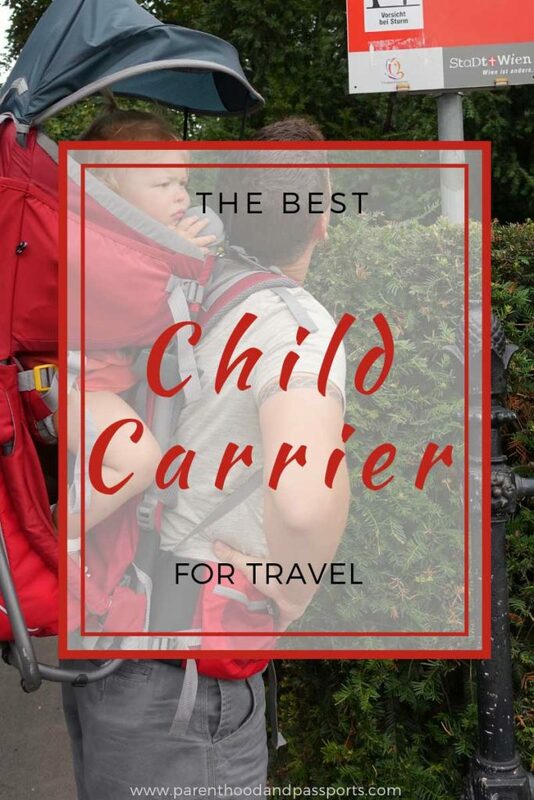 Carrying the extra weight of a child on your back can take a toll on your body, so it’s important for whatever child carrier you choose to distribute the weight evenly. The Deuter Kid Comfort 3 child carrier is adjustable for your particular frame. It distributes the weight evenly across your shoulders and positions much of the weight on the hips rather than the back. I’m not going to pretend you don’t feel the extra weight of carrying a child. You do. But if the shoulder straps and hip straps are adjusted properly for your size, the strain on your back is minimal. I have been able to wear our daughter on trips lasting up to 10 days in a row without any back pain. The carrier works for both me (an average size man) and my wife (who is on the petite side). We’ve found with some other child carriers that the parent straps did not adjust small enough for a petite woman, which is one of the things we like most about the Deuter Kid Comfort 3. Both Dad and Mom loved it. The adjustable straps make it easy to get the perfect fit. Getting the Deuter Kid Comfort 3 on is a breeze. It has two grab handles (one on the front and one on the back) which helps to lift the carrier without assistance. Although the AirContact pad is intended to reduce perspiration when wearing the child carrier, we still tend to sweat a bit when wearing it for an extended amount of time. We travel a lot as a family. In fact, we have a goal to hit all seven continents by the time our daughter is 10. But every parent who has ever done it will tell you that traveling with a toddler is hard. It’s trying. And it’s exhausting. Toddlers are emotional, irrational little creatures. And when you travel, you are often dealing with jet lag and unfamiliar situations that only exacerbate the situation. While I’m not going to tell you the Deuter Kid Comfort 3 made traveling with a toddler a breeze, I will say it made it better. No high chair? No problem. 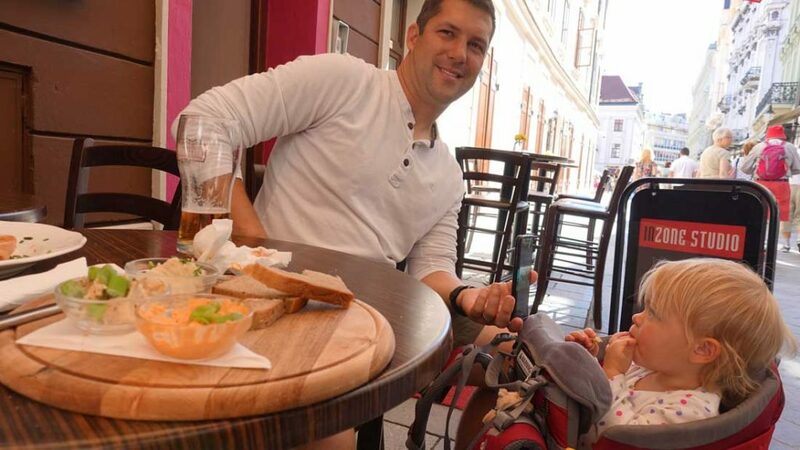 Using our Deuter child carrier as a child seat at a restaurant in Slovakia. Our daughter has also taken many naps in the child carrier. This has alleviated the need to return to the hotel for nap time and helped us deal with toddler jet lag. Perhaps one of the greatest things about the Deuter Kid Comfort 3 is the reactions we get from others when they see it. We’ve received so many compliments on it over the years. People stop us everywhere we go to ask about it or to simply tell us they love it. Our 3-year-old napping in the Deuter child carrier after a long day at Tivoli Gardens in Copenhagen. 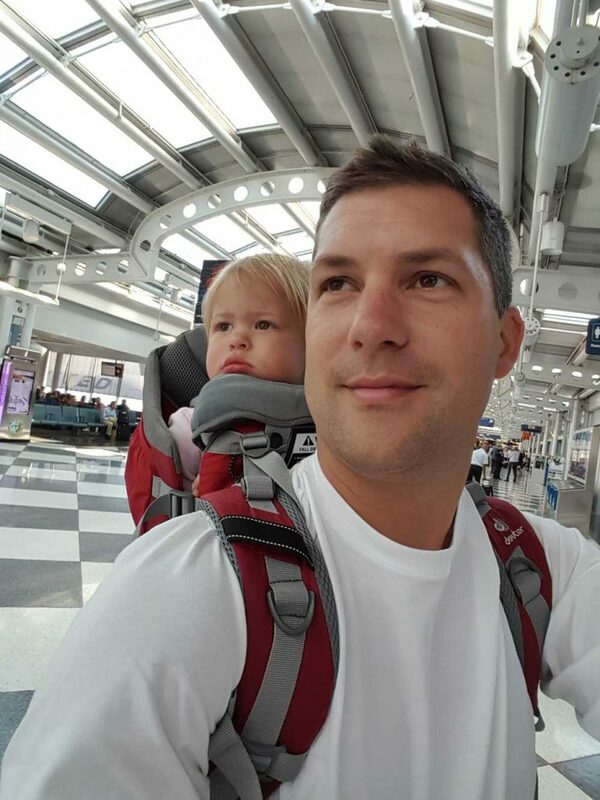 We have always found toddler or babywearing at the airport to make the process of going through security and navigating an airport easier. Unlike soft-bodied carriers, the Deuter does have to be removed (and sent through the x-ray machine) when going through TSA or a security checkpoint. But it still makes air travel with a toddler easier. For one, it keeps your little one from running amuck, as little ones tend to do. We’ve found it has helped minimize complaining from our tiny traveler when we have to stand in security lines or walk long distances to the gate. Almost every flight we’ve taken, they have consider our Deuter Kid Comfort 3 a carry-on bag. When flying on some of the smaller regional airplanes, we’ve been asked to gate-check it for fear it wouldn’t fit in the overhead compartment. But only once (in Mexico City) have we been required to check it through to our destination as a piece of luggage. The Kid Comfort 3 by Deuter is a great child carrier for travel and navigating airports with kids. We’ve made many priceless memories in this child carrier. My daughter has happily spent countless hours in the Deuter Kid Comfort 3. It has become an invaluable travel accessory to us. 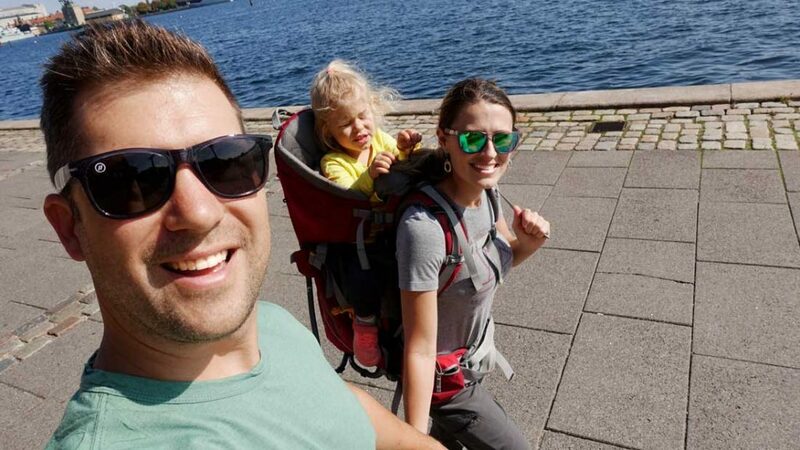 It has kept our daughter safe and contained while exploring busy cities and kept her content on long hikes that would be too exhausting or challenging for a toddler. I’m actually going to be sad when we no longer need to use it. For us, it’s made our life and our travels easier and more enjoyable during those often trying toddler years. Is the Deuter Kid Comfort 3 Worth the Cost? The Deuter Kid Comfort III is on the pricier side, which is always a factor when making a purchase. For us, the investment was well worth it. We’ve not only used our child carrier when traveling, we have used it around our own neighborhood and community, as well. We’ve definitely gotten our money’s worth out of it. In determining whether the Deuter Kid Comfort 3 is worth the cost, you should first consider how often you would likely use it. Are you considering it just for one hike? If so, it may not be worth it. But if hiking or traveling is a part of your lifestyle, you’ll get years of use and priceless memories out of the Deuter Kid Comfort 3, making it well worth the initial investment. Furthermore, child carriers tend to retain value very well. So after your child outgrows it, it can easily be resold for a fair price. READY TO BUY? CLICK HERE TO FIND THE BEST PRICE ON AMAZON. 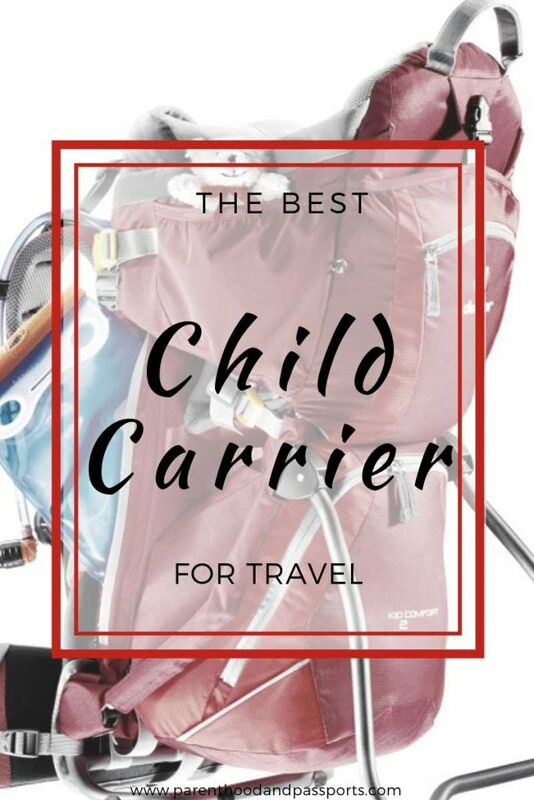 Overall, if you are looking for a child carrier or hiking backpack carrier for kids, the Deuter Kid Comfort III is a high-quality option that we would certainly recommend. It has all the features we were looking for, and some we didn’t know we needed. It’s worthy investment if you plan to hike or travel with toddlers. Have a question or comment about the Deuter Kid Comfort III? We’d love to hear from you. Leave your thoughts in the comments below.